Morning cryptochums. Today I will discuss the relationship that the Wizard of Oz has with cryptocurrency. 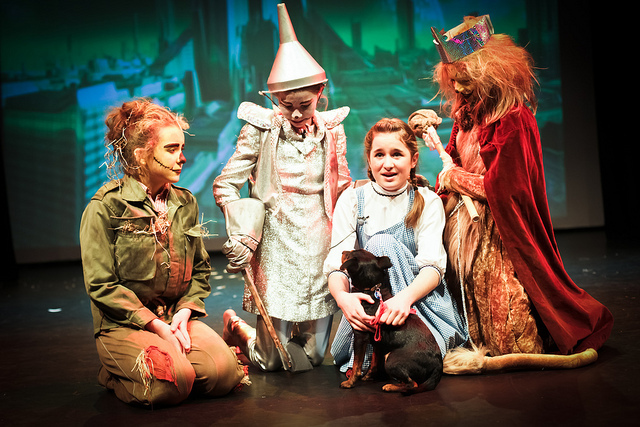 Yes, the Wizard of Oz; Dorothy, Dodo, the Wicked Witch and the yellow brick road. Why draw this comparison? I think there are a series of challenges that we face today that are similar to the time of the Wizard of Oz. So I thought it would be an interesting thought experiment. So on to the Wizard of Oz. A little known fact about the Wizard of Oz is actually an story about the money supply in the United States in the late 1800s. Yes, the film was released in the 1920s, but the original story was a book and play, written by L.Frank Braun in the 1890s. In the period the United States was becoming an industrial power, catching up to the European empires. The money systems back then were on what’s known as the ‘gold standard’. For every unit of currency in people’s pockets, there was a unit of gold in central vaults. It was thought that money needed an actual value to be trusted by its users. Interestingly, there was no international agreement about the gold standard. It was a competition between the great industrial powers to prove their currencies were valuable. The downside of the gold standard is that the availability of gold doesn’t always match the requirement of money within the economy. This was an issue within the period as economies were changing so quickly due to industrialisation and development. Analysis indicated that gold-backed money supply was expanding at around 2.6% per year, whereas economic growth was at 5%, so there was a deflationary pressure on the dollar. The gold standard was therefore blamed, rightly or wrongly, for contributing towards slow growth, recession and limiting the potential of the United States. It seemed like it wasn’t fit for the 20th century economy and supported a 19th century economic model. So, enter stage right; the Wizard of Oz. I am about to ruin your childhood, so beware. It was actually a big criticism of the money system associated with the gold standard. Dorothy represented America; young, honest, kind-hearted and plucky. She is whisked away to a land where the gold standard reigns supreme, where an ounce (a measurement of gold) has mythical qualities (Oz). Her house lands on the Wicked Witch of the East. Now, back then the East was considered to be where the ruling classes of the United States lived – in Washington and New York. The Wicked Witch represents the powerful political and business elites who benefited from the gold standard. She kills the witch she takes her silver slippers (ruby in the film). This represents a “bimeticallic standard” – or a different model where the money is backed by gold, silver and other precious metals. This could in theory increase the money supply for the 20th century. She begins her journey along the yellow brick road (obvious reference to the gold standard) to the Emerald City (Washington DC). She first encounters the Strawman, that represented the American farmer. He thinks he has no brains and can’t understand complex ideas, but throughout the story he becomes shrewd and capable. She then bumped into the Tin Man, that represented the American industrial worker, ceased up by lack of lubricant, or availability of money for the industrial sector. She then meets the Cowardly Lion, who represented the politicians, without heart to challenge the grand theories of the gold standard. They all go to the Emerald City and along the way they all become more confident and able to meet the challenges in front of them. This is basically a political movement of farmers, workers and politicians confronting the system of the gold standard by marching on Washington. In the end they realise that they had all of the solutions to their problems all along. So how does all this relate to cryptocurrency? Well the current economy and money supply is frankly terrible. We have financial elites who have a license to print money, that doesn’t use a precious metal, but is in fact backed by debt. We have the average person who is experiencing stagnate living standards or even poverty. We have zombie economies that are a 20th century economic model on life support. We have a whole host of challenges; from population growth, environmental disaster, gross and increasing inequalities and a disconnect between political parties and the people. It is unclear how the current model will meet the needs of our children. I would like to think that Bitcoin and cryptocurrencies offer a kind of silver slipper in all of this. I don’t think we are going to replace fiat money any time soon, but cryptocurrencies do offer an alternative approach, just as the ‘bimetallic standard’ offered an alternative in the 1890s. If offers a model of democratic oversight of organisations, where all of us could be producers of a currency, for instance. It offers the ability for us to develop business models that operate on a peer-to-peer basis, disempowering the financial elites and their political interests. It offers technological innovations that allow us to use different stores of value and reap the benefits of this approach. I think Bitcoin and cryptocurrencies really could be a silver slipper. We just need to walk along the road paved in debt, get the people and politicians on our side and go and challenge the current system that benefits only the few.